In the 24th September, South Africans gather to pay homage to the diverse cultures that have come together and culminated into the rainbow nation we so enjoy today. Now if all National Heritage Day means to you is a public holiday then keep reading. In KwaZulu-Natal, the 24th of September was known as Shaka Day, in commemoration of the legendary King Shaka Zulu. However, a South African political party with a large Zulu membership, known as the Inkatha Freedom Party (IFP), objected the Public Holidays Bill before Parliament as it omitted Shaka Day. A compromise was reached when it was decided to create a day where all South Africans could observe and celebrate their diverse cultural heritage. To celebrate this day, South Africans host a number of events across the country. Here’s how you can spend your day off and celebrate National Heritage day as a proud South African. To truly celebrate your heritage and rich history in this country, you need to take the time out to learn about how South Africa has become what it is today. By museum hopping through the city, you’ll find a deeper understanding as to how the rainbow nation came into existence. Learn about the painful history of slavery and how the Cape Malay community established its roots in the Mother City. You’ll find that somehow we are all not too different from each other. Visit the Castle of Good Hope and learn about Jan Van Riebeek’s life and how it influenced an entire way of life for citizens of this beautiful city. If taking a step back in time is not the way you want to spend your public holiday then celebrate the present and host a braai. “Braai” is an Afrikaans word for Barbeque and it is definitely an age old proudly South African past time. 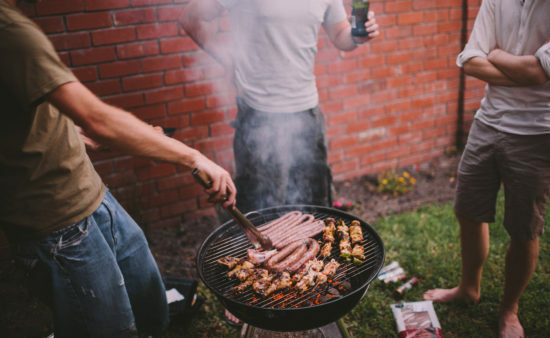 Simply throwing slabs of meat and delicious local boerewors on an open air fire grill, is enough to get anyone in the mood for a celebration. Sitting around the fire as the meat sizzles and enjoying a cold beer as you catch up with close friends and family has to be one of the best ways to enjoy a day off from work. If you’ve never hosted a braai before and no nothing about starting a fire. Check out this step-by-step instructional video that will have you grilling the best meat in no time. So you know about your great grandmother who came over to South Africa from Scotland in 1850 but how informed are you really when it comes to your ancestral heritage. Since South Africa is known as a melting pot of diversity, you might be surprised to find out that there is a lot more you didn’t know about your lineage. There are ways and means to go about this and it might take longer than you think but let this Heritage Day inspire you to go back into your family tree and learn about what your ancestors went through in the past. You might find that your great-great-great grandfather held a high position in the community and contributed largely to the development of something great. You might find that you’re an heir to a dynasty after your great-great-great-great-grandfather that came to the Cape in exile. Either way, knowing where you come from is a good start to knowing where you’re going. The re-enactment of the Battle of Hout Bay is held around Heritage Month each year. The battle took place in 1795 between the British frigate in the bay and the coastal cannons of the Dutch and French defenders. While the British failed to take the fort at this time, they later took it along with the entire Cape Colony. Watch as locals re-enact this battle and take you through history. This is the perfect opportunity to enjoy some good ol’ family entertainment while learning about some great events in history. Let Vineyard Car Hire take you where you need to be with their reliable car rental service. With a simple click of a button you can find the car that is most suitable for you. Make the most out of this National Heritage Day and discover the rich history of the Cape.